The counter for redeem is just next to the arrival floor. Very eye catching signage. We do not need to wait at all to get on the coach and then directly go to the hotel. Highly recommended. This is the easiest way to get from Sydney airport to the city centre. Get the ultimate flexibility as you can plan in advance or book up to a day before your flight lands. 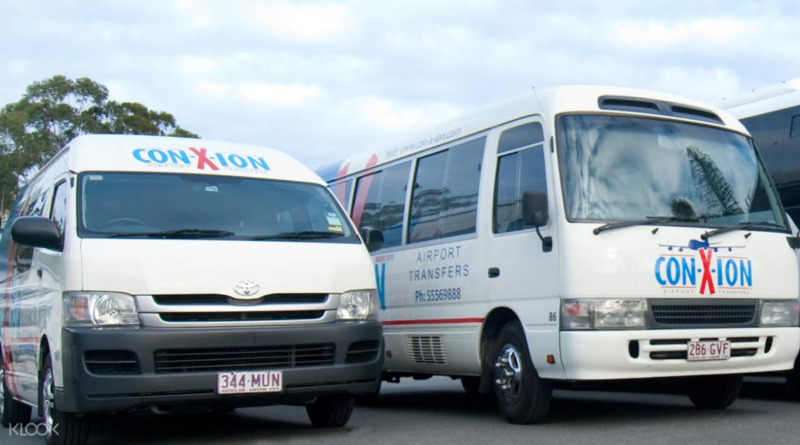 These clean, comfortable and efficient airport to Sydney shuttles and professional drivers are seasoned pros at navigating the transfer route so you can be sure your journey will go smoothly. Upon landing, simply show your e-ticket at one of the 'Redy2go' desks in the arrivals hall, board your designated shuttle bus and you're on your way - no need to deal with cash or cards! Everything alright. I miss understand on ticket detail that I have to call Redy2go before pick up time. Little bit different service from Brisbane Con-X-ion because Con-X-ion deal with Redy2go at Sydney. Anyway Hotel staff really help me to connect Con-X-ion agent. During we was waiting on phone hotel staff let me talk with another Redy2go driver that just pick up other people there. He really help us this time to call other driver to pick up us to airport on time. Everything alright. I miss understand on ticket detail that I have to call Redy2go before pick up time. 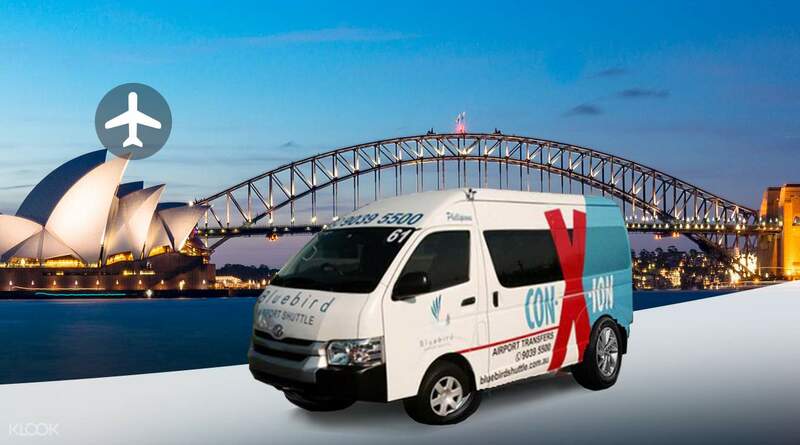 Little bit different service from Brisbane Con-X-ion because Con-X-ion deal with Redy2go at Sydney. Anyway Hotel staff really help me to connect Con-X-ion agent. During we was waiting on phone hotel staff let me talk with another Redy2go driver that just pick up other people there. He really help us this time to call other driver to pick up us to airport on time. It is easy to find information desk, contact staff to get ticket , and go outside wait shuttle bus. Saving trouble to find transportation go to city for carrying luggage.It is recommended that service by KLOOK! It is easy to find information desk, contact staff to get ticket , and go outside wait shuttle bus. Saving trouble to find transportation go to city for carrying luggage.It is recommended that service by KLOOK! its very convenient and relaxing transfer from Sydney Airport to my hotel. the driver is nice and on time. its very convenient and relaxing transfer from Sydney Airport to my hotel. the driver is nice and on time. transaction so smooth. no lines. driver was very helpful. transaction so smooth. no lines. driver was very helpful. nice tour. accommodating tour guides. very good experience. nice tour. accommodating tour guides. very good experience. The counter for redeem is just next to the arrival floor. Very eye catching signage. We do not need to wait at all to get on the coach and then directly go to the hotel. Highly recommended. The counter for redeem is just next to the arrival floor. Very eye catching signage. We do not need to wait at all to get on the coach and then directly go to the hotel. Highly recommended. The van arrived on time. But it took 1 hour to reach the airport, which was too long. They would pick up 8 people in the van before going to the airport. The van arrived on time. But it took 1 hour to reach the airport, which was too long. They would pick up 8 people in the van before going to the airport.